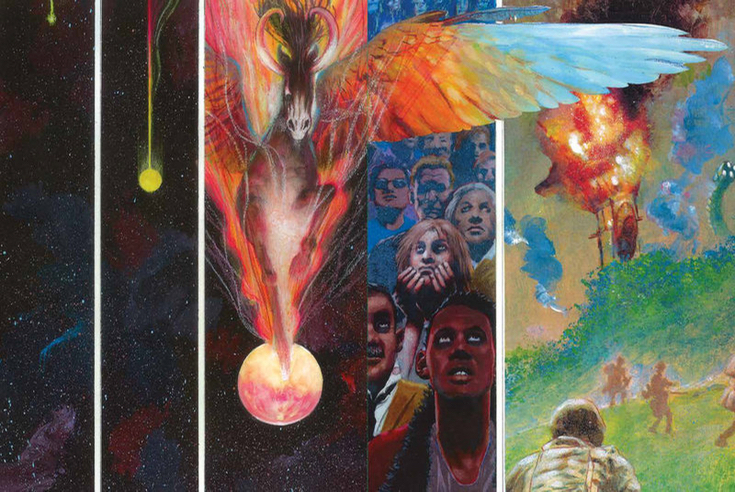 Sample panels from Wayne Shorter’s Emanon, the graphic novel. Art by Randy DuBurke. 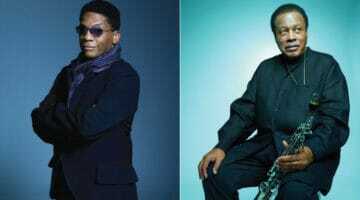 It’s not uncommon for the press, or even friends, to refer to the legendary saxophonist and composer Wayne Shorter as a buddha; he’s been a wise elder of the jazz world for decades now. It would be enough for him just to have played in Art Blakey’s Jazz Messengers, Miles Davis’s Second Great Quintet, or in the fusion supergroup Weather Report. It would be enough just to have recorded landmark solo LPs like Speak No Evil or High Life — much less the other 24 releases in his catalog. “Forward” and “undaunted” are good words for this music. Now 85, Shorter has just released the monumental Emanon, a three-disc set (no digital edition) matched with a graphic novel written by Shorter and screenwriter Monica Sly — who helped Shorter and his comrade Herbie Hancock compose their “To the Next Generation of Artists” — and illustrated by comics veteran Randy DuBurke. 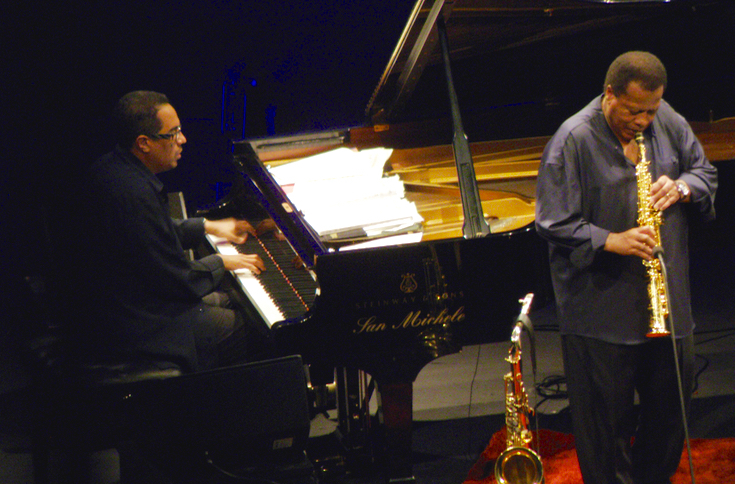 Wayne Shorter (right) with pianist Danilo Pérez, in concert with the Wayne Shorter Quartet at the Teatro degli Arcimboldi, Milano, in June 2010. Photo by Mattia Luigi Nappi. 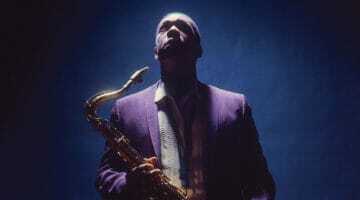 “Forward” and “undaunted” are good words for this music. The first disc features the group with the Orpheus Chamber Orchestra; the other two discs feature the band live in London, revisiting songs from the first disc and from elsewhere in Shorter’s catalog. Highly composed yet allowing for fearless improvisation, the songs here flow out from Shorter and the rest of his accomplished quartet — pianist Danilo Pérez, drummer Brian Blade, bassist John Patitucci — with the naturalness of wind, or rainfall. Lilting and complex, the first disc’s music swells and takes off on a dime, making the most of the presence of the orchestra, and in so doing often creates a distinctly filmic feel that seems especially effective as a graphic-novel companion. Emanon is out now on Blue Note Records, and is just one factor in what’s looking like a banner year for the jazz giant, which will also include a Kennedy Center Honor and, in 2019, the release of a documentary, Wayne Shorter: Zero Gravity.